Dipped in white & milk chocolate. Individually wrapped, 3 ea. Milk Chocolate/White Chocolate. 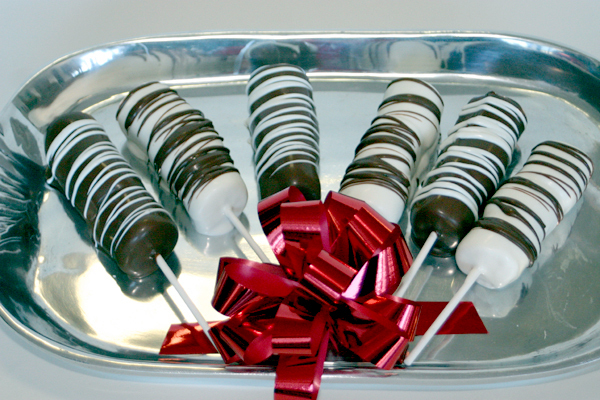 Great for kids parties or just an every day treat!